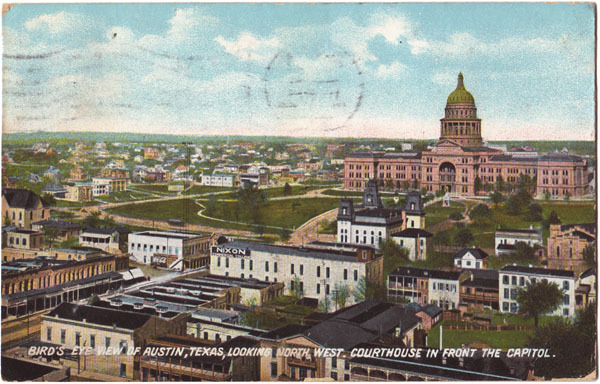 AustinPostcard - Bird's Eye View of Austin, looking North West. Postcards > Bird's Eye View's & Skyline Views > Bird's Eye View of Austin, looking North West. Bird's Eye View of Austin, looking North West.